These colours are beautiful. I have done this pattern before. My hexagons were fussy cut and it was an I Spy quilt, about 48" square. Such fun finding enough fabrics to use and stay within my stash. I liked seeing the pieces together as well. I bet your I Spy quilt was amazing when it was finished! 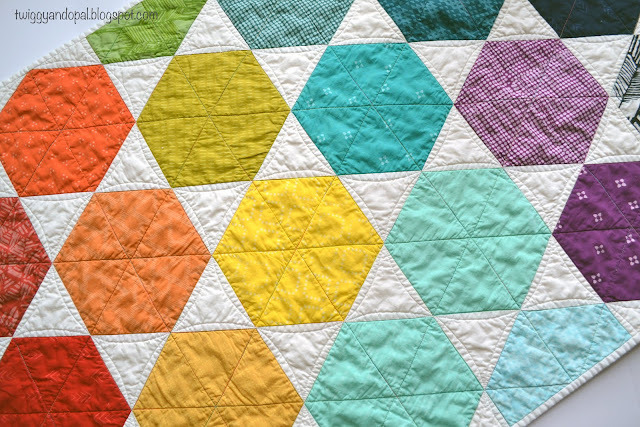 This hexagon quilt design is really pretty easy, but you gotta stay on top of the rows! It always helps to have clear and concise instruction for any pattern. I really enjoyed making this hexagon quilt and hope to do it again very, very soon! The pre-cuts did make it easier! 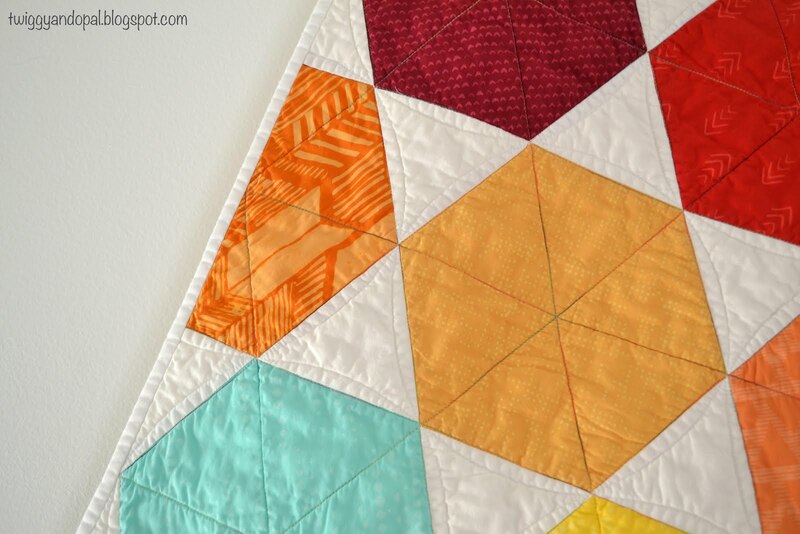 I really love the minimal quilt lines with variegated and white thread. They are as great on the back as on the front. 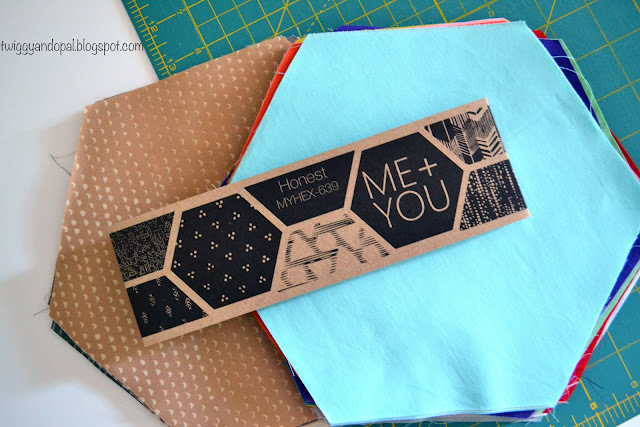 Will definitely try Aurifil Marrakesh and maybe even a hexie quilt. What fun! I have some batiks in my stash....but they aren't the modern ones. Really need to do something with them tho! oh, this is lovely tho! 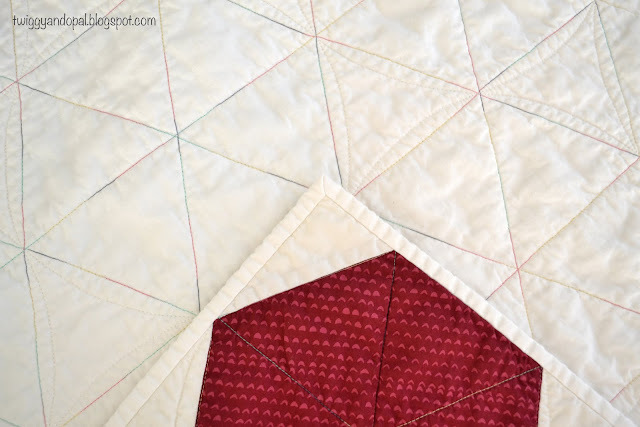 I have not done hexies like this - very cool! I have some old batik fabric and have used it for backings. I love the Indah Batik fabrics. Geometrics and colors…they are something I can get behind! As for the hexagon quilt, really pretty easy. I’m sure you would make a fabulous one! No, that is one shape I have not sewed with yet. I sure do think your version is cute! I agree with you about liking the secondary star pattern that appears on this design. Another great finish, Jayne! Nicely done in all regards, yes I have worked with hexie's before. You do get used to the angle of where to place to get a nice seam join. I love batiks. No right or wrong side and the colors are so saturated. congrats on a great finish. Just bought some of the Marakesh thread so will be using it on something soon. I've never attempted a Hexie quilt. 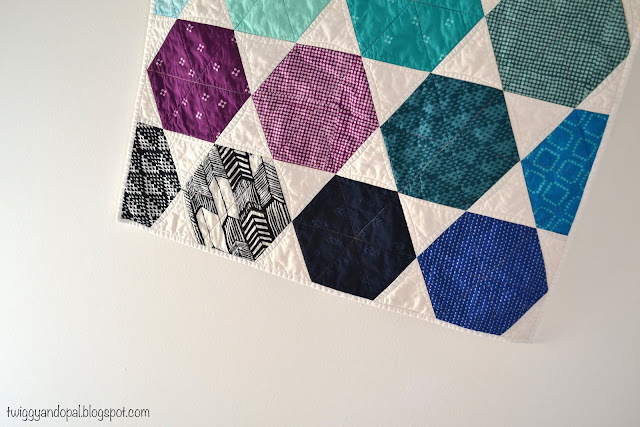 You made that Hexie quilt look SEW easy!! Gotta LOVE a rainbow setting, too. Insert happy sigh here! 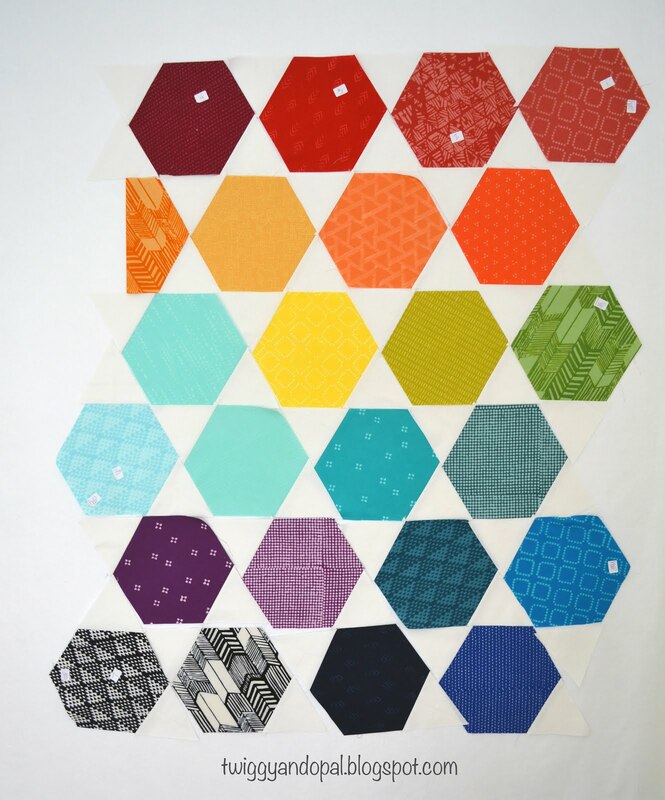 This hexie quilt really took you out of your comfort zone, did it not? 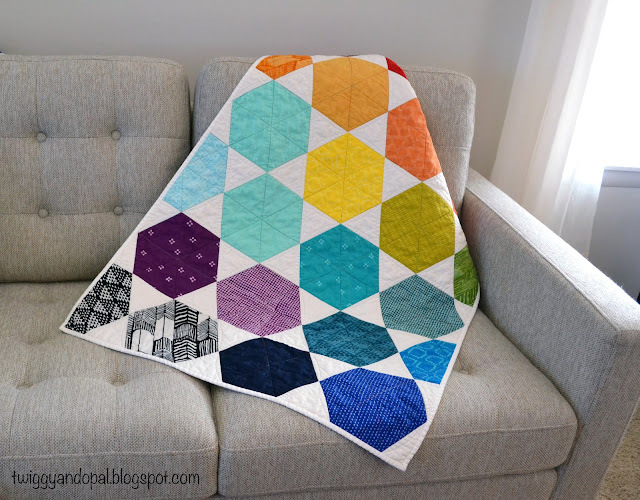 This little quilt looks fantastic. I have made this pattern before and have always loved the outcome. (But I sew the blocks in rows) You inspire me to want to make another one. Thanks for sharing with Oh Scrap! Were the hexies precut, Jayne? I would love to try working with a precut like that! Your quilt is wonderful, and I do love the variegated thread, too. Lovely quilt! And these batiks look quite different to the ones I've had over the years, they would be very useful in any patchwork. 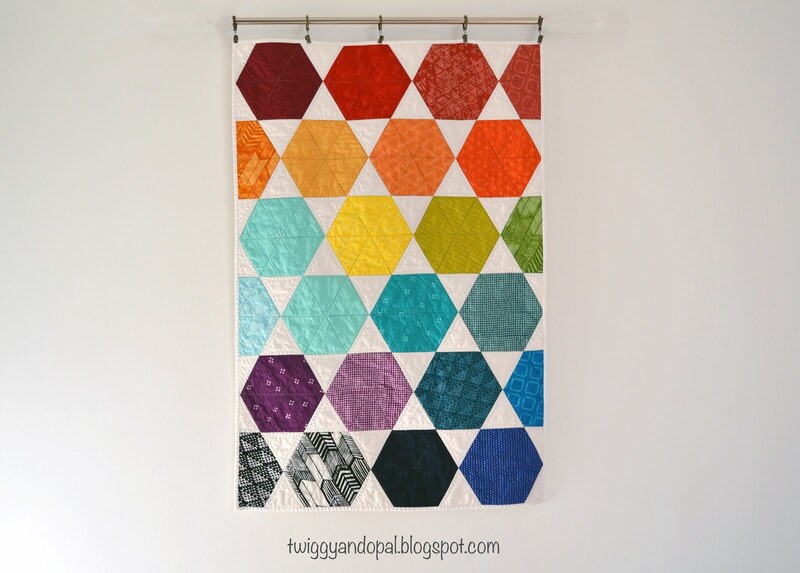 These colors are wonderful, beautiful quilt! Love this. That little batik arrow fabric I just purchased and can't wait to use. 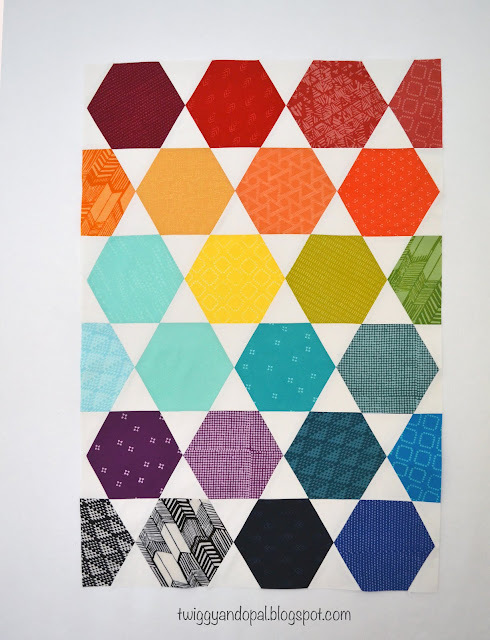 I have made a Libs Elliot weight of love hexi quilt before. They are so much fun to make. I just love your bright colors. Love your quilt. And the quilting design is great. But I am wondering, why would you put together diagonal rows? The rows are visible horizontally too.. (See also Cythia above...) Merry Christmas! This quilt makes me think of the game Trivial Pursuit, but that is in no way a comment on your making. You’ve made me want to take a new look at batiks. Except for using them in landscape quilts, I had sort of fallen out of like with them. What attracts me to these is the clear color and sort of solid look. I have made a hexagon quilt, but without the triangles. I loved the process. Great result with your hexies. The quilt has come together very nicely and the quilting is great. A lovely finish. That's such a cute quilt. Love the few black and white hexies at the bottom! So colourful. I like some batiks -- just depends on the print.